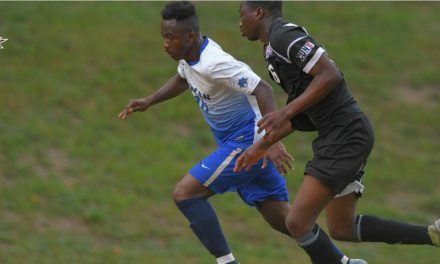 BRONX, N.Y. – The Lehman College men lost their third consecutive match 1-0 s they fell at home to City University of New York Athletic Conference leader College of Staten Island at South Field Wednesday night. The game was a very physical encounter that saw 33 fouls (Lehman – 16, Staten Island – 17) with six yellow cards, three to each team. 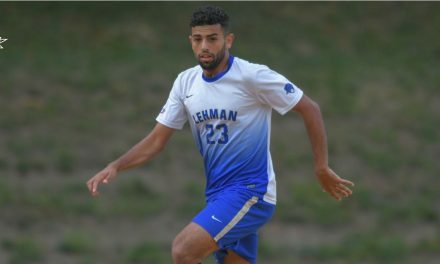 The game-winner came in the 75th minute when forward Bryant Navarro scored off an assist from Philip Lefkowitz. Staten Island (12-3, 7-0) out shot Lehman (5-8, 3-3), 7-3, with Lightning goalkeeper Chris Mulholland making two saves. 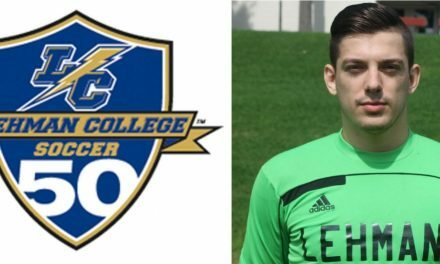 Lehman continues CUNYAC play when it travels to face Baruch College at Randall’s Island Saturday at 10 a.m.